We were formed in February 2011 in Will County, Illinois. We meet at the Will County Farm Bureau at 100 Manhattan Rd in Joliet, IL. 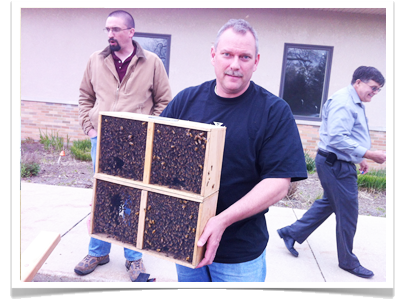 more about us extractor rental Unwanted Bees? While WillBees does not sell package bees, we are providing information about local sellers of package bees that may be of interest to you. For a full list of regional classes offered by others, see our Education page.